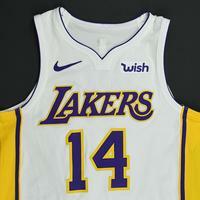 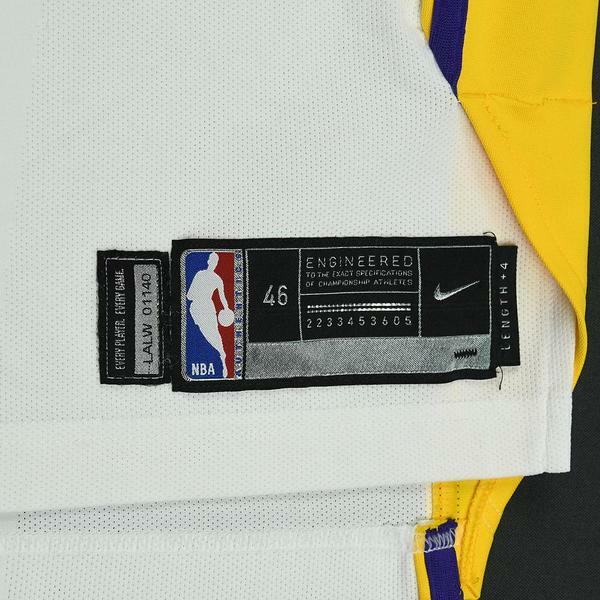 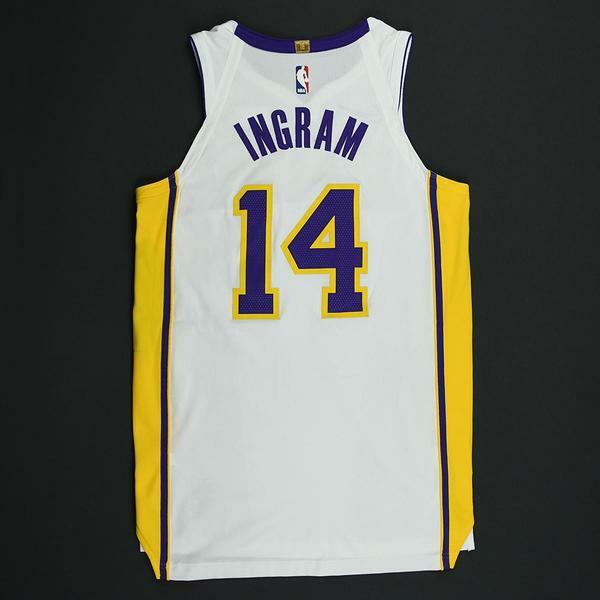 Ingram wore this jersey, and it was photo-matched, to the following three games. The Lakers' 148-142 loss to the Houston Rockets on December 31, 2017. He played 44 minutes and registered 12 points with 4 assists, 6 rebounds and 1 steal at Toyota Center in Houston, TX. 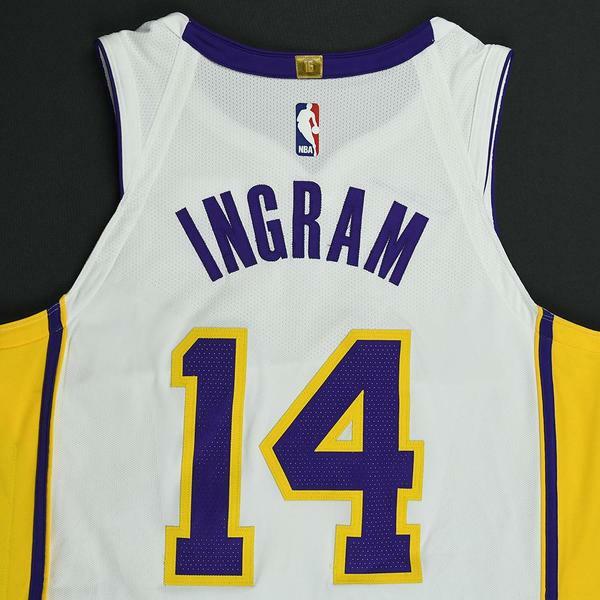 The Lakers' 132-113 victory over the Atlanta Hawks on January 7, 2018. 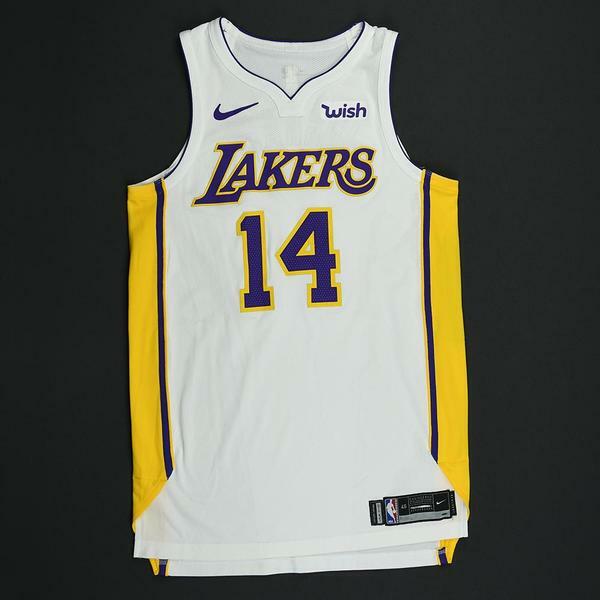 He played 30 minutes and registered 20 points with 7 assists, 1 rebound and 1 blocked shot at Staples Center in Los Angeles, CA. 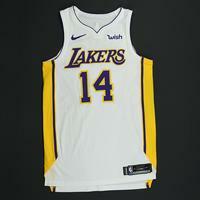 The Lakers' 127-107 victory over the New York Knicks on January 21, 2018. 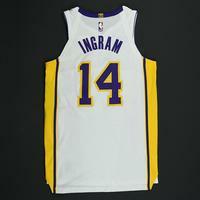 He played 24 minutes and registered 10 points with 3 assists and 2 rebounds at Staples Center in Los Angeles, CA.